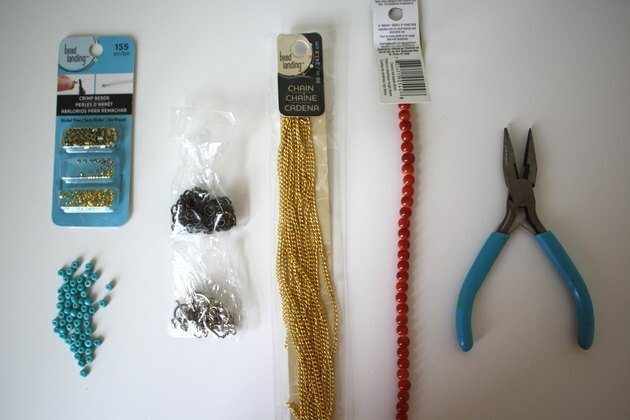 Do you want to make boho-inspired barefoot sandals for summer? This project takes under an hour to complete, and you can get all the materials at your local craft store. We used the Bead Landing brand, but any beading will work. Note: This is for a size 7 foot. You may need more or less gold chain depending on your foot size. 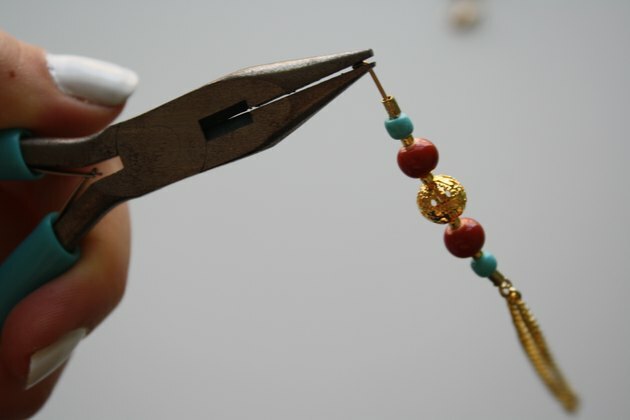 Tip: Size your chain by wrapping it around the outline of the sandal. Starting at your ankle, pull the chain to your bottom of your toe and back to your ankle, then around your ankle two times. This should give you an idea of how much chain you need. 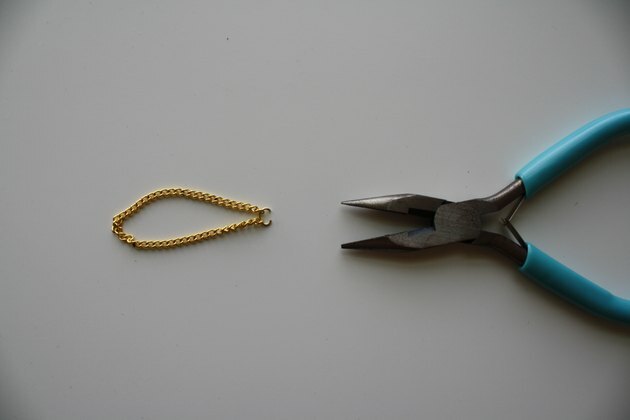 Cut a 4-inch piece of chain using the clippers. 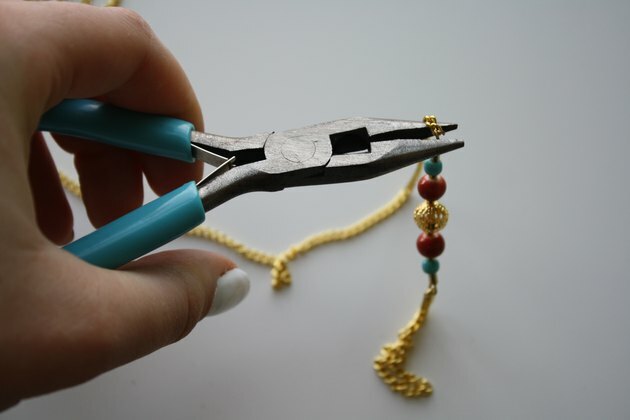 Using a pair of pliers, grasp the jump ring on either side and pull apart in a twisting motion. Slide one link from each end of the chain onto the jump ring. Reverse the twisting motion with your pliers to put the jump ring back together. You should now have a 2-inch loop. Thread the open end of the eye pin through the jump ring. Close the eye pin similar to the way you closed the jump ring. 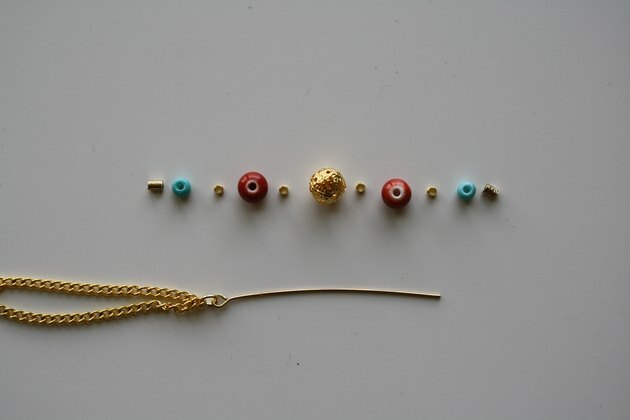 Prepare your design by laying out the beads in whatever design you choose. You can arrange them however you like, but make sure you mimic the pattern on both sandals. 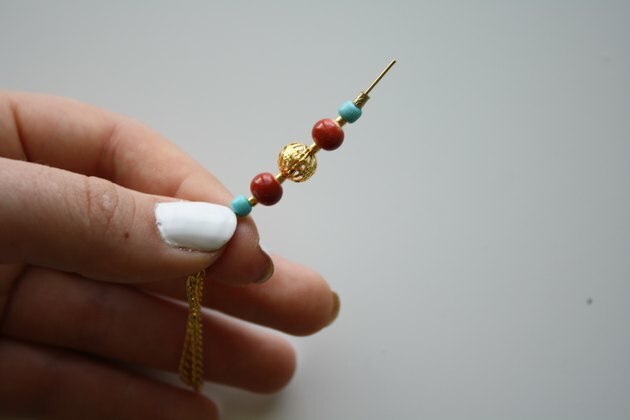 Thread your beads onto the eye pin. Use your pliers to bend the straight end of the eye pin into a hook. Loop the hook through the end link of your remaining chain. 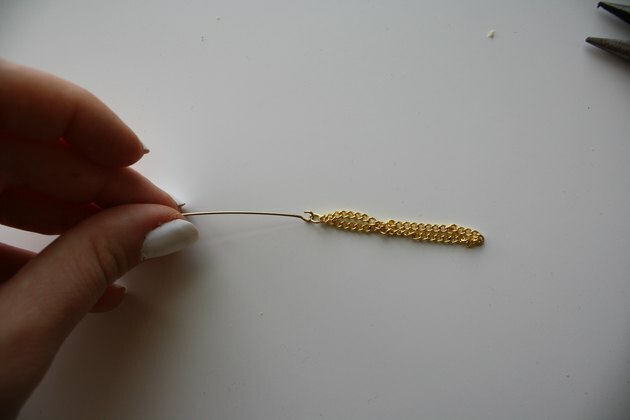 Close the hook to secure the eye pin to the chain. Wrap the 2-inch loop around your toe. 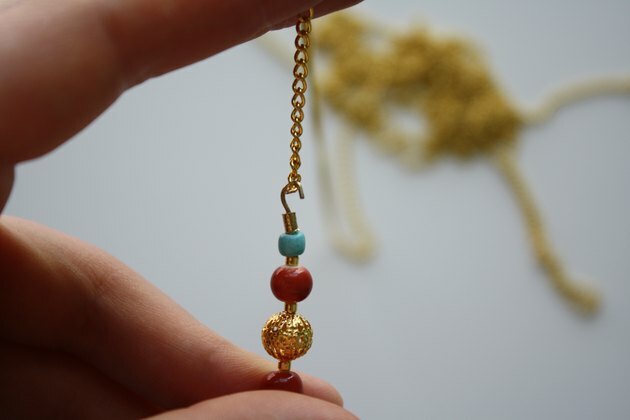 Wrap the chain around your ankle two times and then back to the eye pin. Cut the chain where it meets the eye pin. 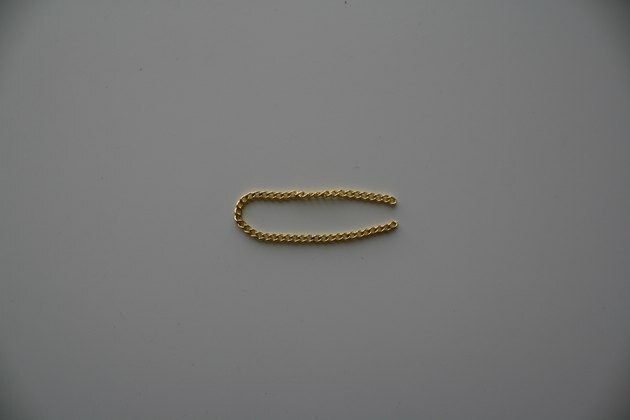 Use another jump ring (see step 2) to connect the loose chain to eye pin. Cut the chain at the center back of the ankle. Connect a jump ring to one raw end of the chain. Add a second jump ring to the other raw end of the chain and add a lobster claw. Add a fun twist to this project if you'd like. Use a piece of hemp, braided rope, leather strips, seashells, glass beads, charms or any other jewelry element you have on hand.